Picture: Aad van Wijngaarden behind his desk at the Mathematisch Centrum. 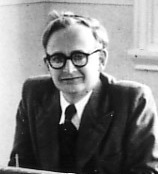 2 November 2016 marks the 100th anniversary of Adriaan van Wijngaarden (1916-1987), founder of computer science in the Netherlands. 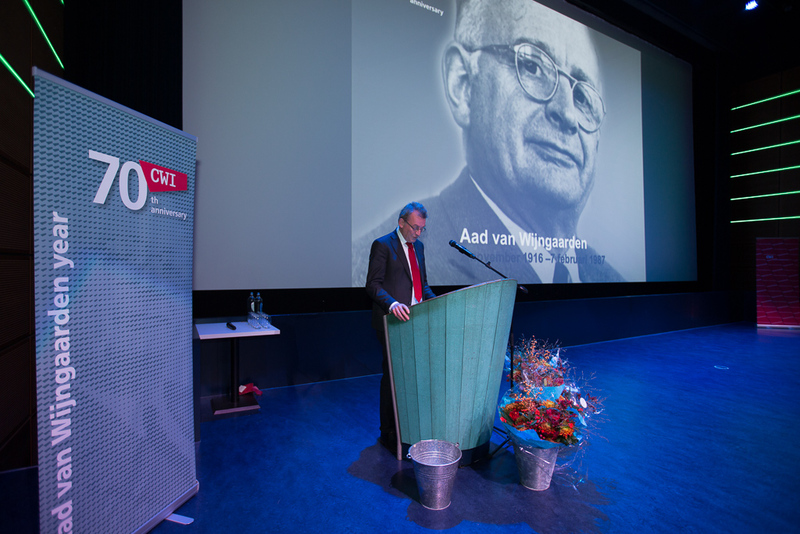 We will celebrate this with a festive soiree at Nemo Science Museum in Amsterdam on the evening of 2 November 2016, in which we will also highlight our 70th anniversary since our founding in 1946. The programme will include the Van Wijngaarden Awards ceremony. 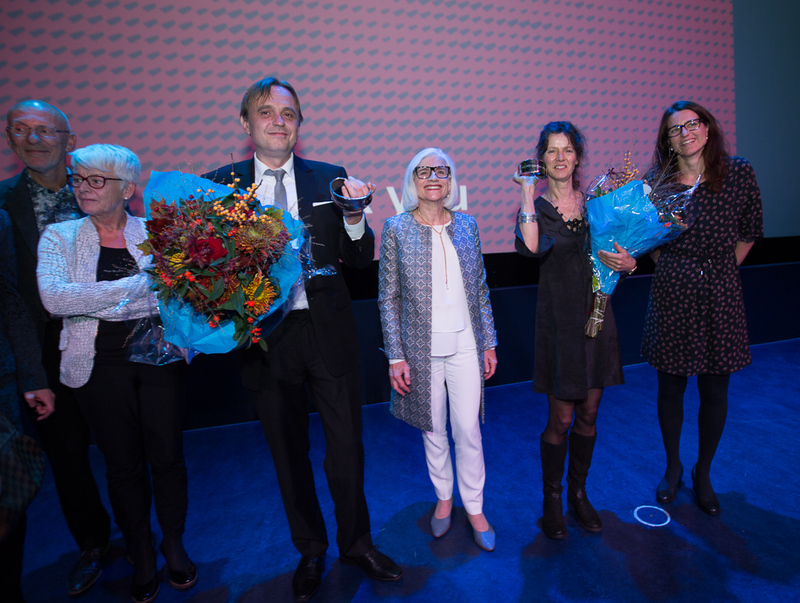 This year’s winners are Xavier Leroy (Inria, Paris) and Sara Anna van de Geer (ETH, Zürich). 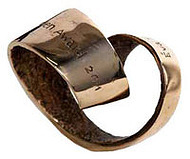 They receive the award for their exceptional contribution to computer science and mathematics and will give a lecture on their research topic. All our relations are welcome to celebrate with us (dress code tenue de ville). The registration is closed per 1 November. 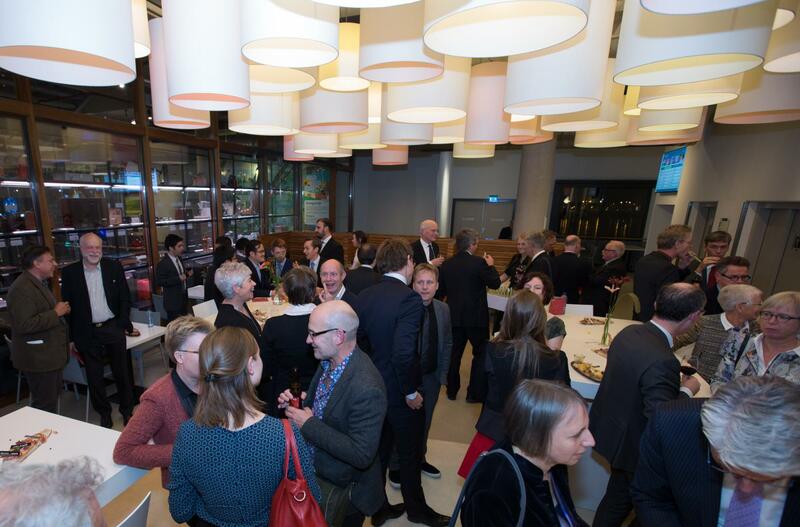 For further information and questions concerning the event, contact Daniëlle Kollerie (danielle.kollerie@cwi.nl). 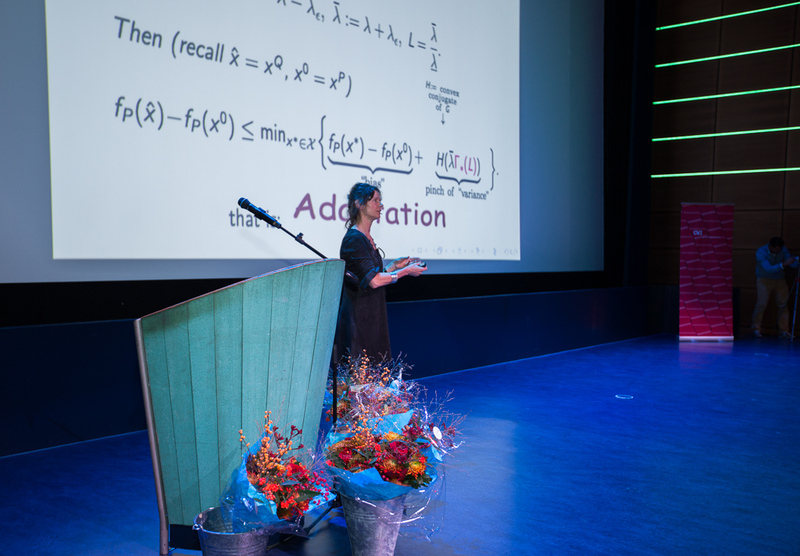 Sara van de Geer is a Dutch mathematician interested in statistics and statistical learning theory. She works as a professor at the department of mathematics at ETH Zürich and is currently president of the Bernouilli Society for Mathematical Statistics and Probability. She was one of the early pioneers developing the applications of empirical process theory indexed by functions to statistical methods for estimating abstract parameters. Xavier Leroy is a senior research scientist at Inria where he leads the Gallium research team. His research focuses on programming languages and tools, and on the formal verification of software using program proof and static analysis. He is the architect and one of the main developers of the OCaml functional programming language and of the CompCert formally-verified C compiler. Picture: The Van Wijngaarden Award consists of a bronze sculpture of Hanneke van den Bergh. 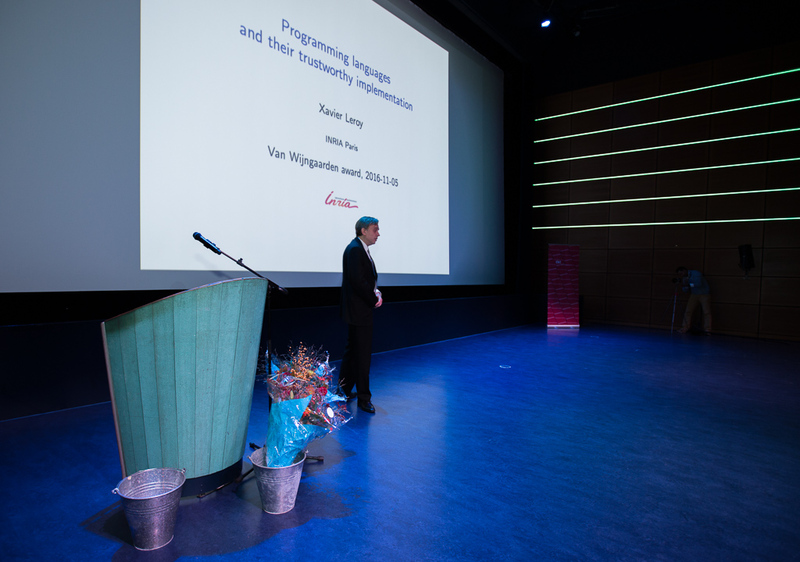 Every five years Centrum Wiskunde & Informatica (CWI) in Amsterdam presents the Van Wijngaarden Award to a mathematician and computer scientist of special significance. 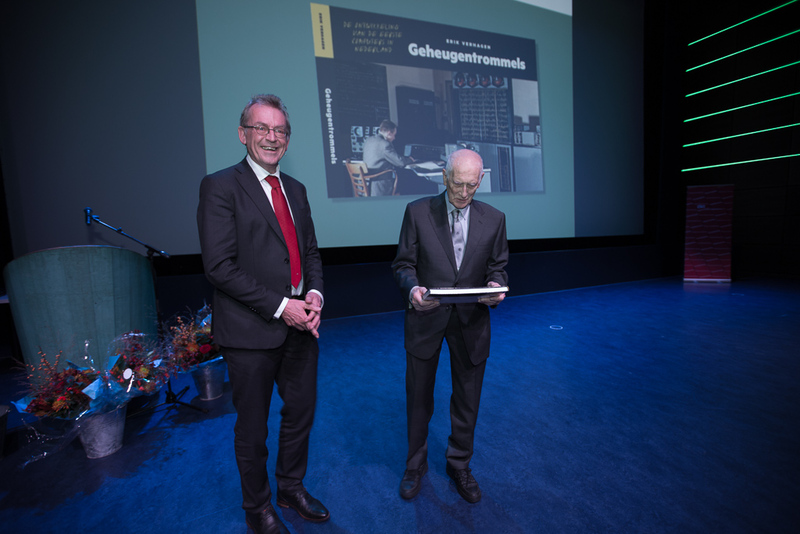 The award is named after Adriaan van Wijngaarden (1916-1987), informatics pioneer and former director of the Mathematisch Centrum, now known as CWI. Previous prize winners were Persi Diaconis (Stanford University) and Nancy Lynch (MIT) in 2006, and John Butcher (University of Auckland) and Éva Tardos (Cornell University) in 2011. The jury consists of Wan Fokkink, Mathisca de Gunst, Jan Karel Lenstra (chair), Jan van Neerven and Eelco Visser.